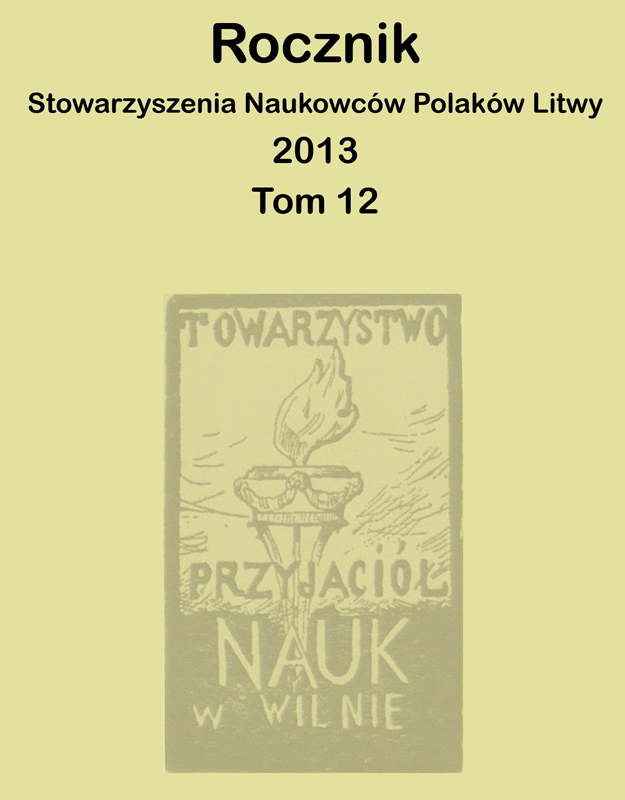 The European Foundation of Human Rights (EFHR) is pleased to announce that the Association of Polish Scholars of Lithuania (SNPL) has just published The Yearbook of the Association of Polish Scholars in Lithuania for the Year 2013. The SNPL is an organization which brings together Polish scholars of Lithuania. Founded in 1989, it caters to its own needs and aims, promotes research and art and tries to raise the level of education among young people. The SNPL currently has 62 members – habilitated doctors and doctors from all areas of research. The 2013 Yearbook of the Association of Polish Scholars in Lithuania is the second collection of articles and papers inspired by the “Lithuanian Poles or Poles in Lithuania?” conference, which took place in Vilnius on 27th of September 2012. We are particularly pleased that the yearbook features a Report on the Protection of Human Rights in Lithuania, written by EFHR: “REPORT: Observance of human rights in Lithuania for years 2012–2013. The rights of national minorities in Lithuania” is an overview of the situation of human rights in this country for the year 2012-2013. The report’s aim was to outline the current situation of human rights in Lithuania, in light of its membership in the EU and other international organizations, such as the United Nations and the Council of Europe. Special attention was given to the protection of the rights of national minorities in such areas as education and the spelling of names or street signs. The report presents Lithuania’s obligations and the extent to which they are fulfilled, citing particular instances of violations of human rights in the country. The EFHR’s report will soon be published and made available in a range of languages.